The Supreme Court just issued a major ruling on how online retailers can charge sales tax. Here's what it means for Amazon. Getty/Rick T. WilkingAmazon has already been charging sales tax in 45 states. The United States Supreme Court ruled in favour of South Dakota in Wayfair vs. South Dakota on Thursday. The decision paves the way for states to collect sales tax on online purchases that cross state lines, even if the retailer does not have a physical presence in that particular state. It likely won’t have a big impact on Amazon, as the US’ largest e-commerce retailer already charges sales tax in the 45 states that require it. The United States Supreme Court released a major decision about online sales tax on Thursday, but the country’s largest e-commerce company is largely inoculated against any fallout from it. The decision paves the way for states to force online merchants to collect sales tax on orders from residents, regardless of where the company itself exists. Previously, federal law stated that a state could only force an online store to collect sales tax if it had a “physical presence” in that state. Somewhere along the line, Amazon got so big that it now has what could be called a “physical presence” (in the form of fulfillment centres) in nearly every state, and so it decided to start charging sales tax in every state that levied one. 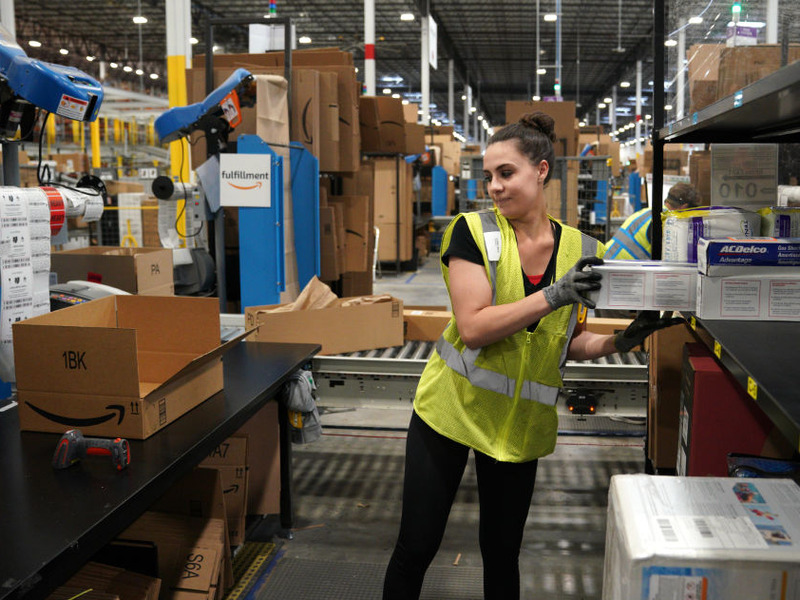 Daniel Ives, chief strategy officer and head of technology research at GBH Insights, called it “a net slight negative for Amazon, but not a dynamic we view significantly moving the needle,” meaning Amazon likely won’t see much effect from it. The slight negative is in regards to Amazon’s third-party sellers. “Some Amazon third-party sellers will now have to assess taxes on shoppers, but I don’t think it will come as a shock to customers,” Kodali said. Any near-term confusion would likely peter out as customers get used to the change, but it will likely be a bigger deal for other only-online stores like Etsy, Ebay, and Overstock. “They will lose some share in the near term, and local stores may see some of that volume but customers will adjust over time,” Kodali said. So who is really winning here? The answer is state governments, which will get a boost to their budget’s bottom line, and brick-and-mortar stores that never dealt with the online marketplace anyway.